Blue Point Brewing created a Golden Ale using their dry hop Gold Medalist: Olympic Hops. 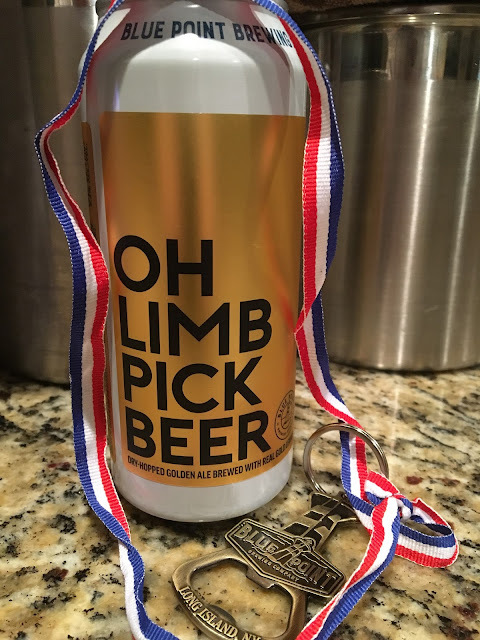 OH LIMB PICK BEER comes in a pounder can with a gold label, and the brewery suggests you follow the lead of their brewers, taking home the gold while skipping the gym. Supposedly the beer was brewed with gold flakes but I didn't see any (I'll let you know if I see any later.) 5.3% alcohol. Canned On 01 12 2018. Grainy, lightly fruity aroma with some hops, very pleasant. Fruity apple, light mango flavors to start, just barely on the sweet side. But a nice, hoppy bitterness follows, more fruitiness, super flavorful. 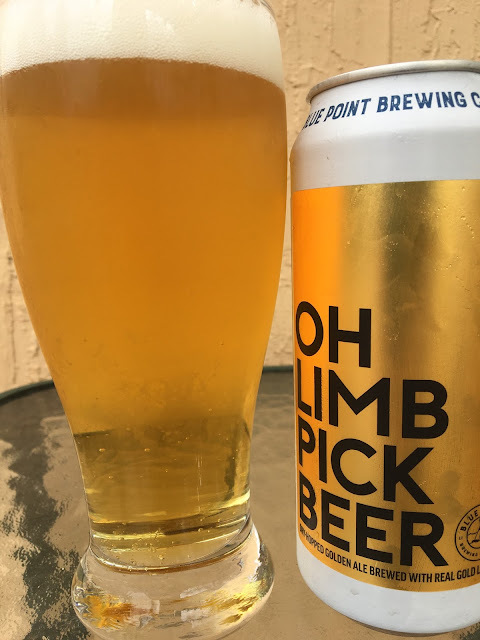 The flavors are accompanied by some prickly, sharp hits to the palate. Clean, refreshing, nice flavors! 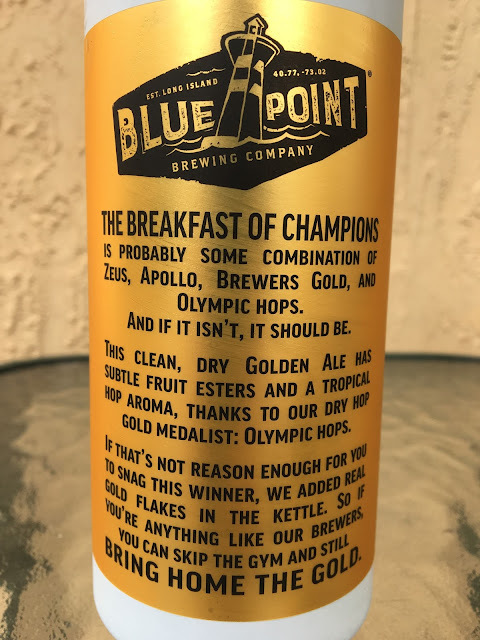 I gave you a few days to pick up some GOLD and root on the American Olympians!